NATO has issued an alert saying that a merchant vessel was attacked yesterday (8 February 2012) and is suspected to have been hijacked. 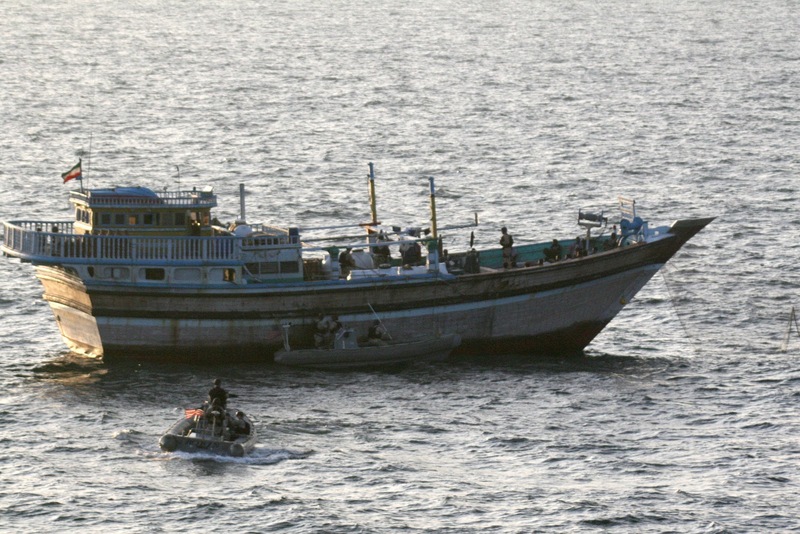 At 14h38 UTC the vessel was in position 13 32 N 058 36 E.
GoAGT (Gulf of Aden Group Transits) said on Thursday that over the past week it has received first-hand information from sources indicating that several Pirate Action Groups (PAGs) have begun to focus operations in a new regional area. These sightings suggest that pirates are targeting the Cape to Arabian Gulf shipping lane. GoAGT says the activity east of the Seychelles is “likely motivated by the search for unprepared shipping. The operational range for PAGs has greatly increased due to the use of mothership vessels, which allow for extended operations at sea. 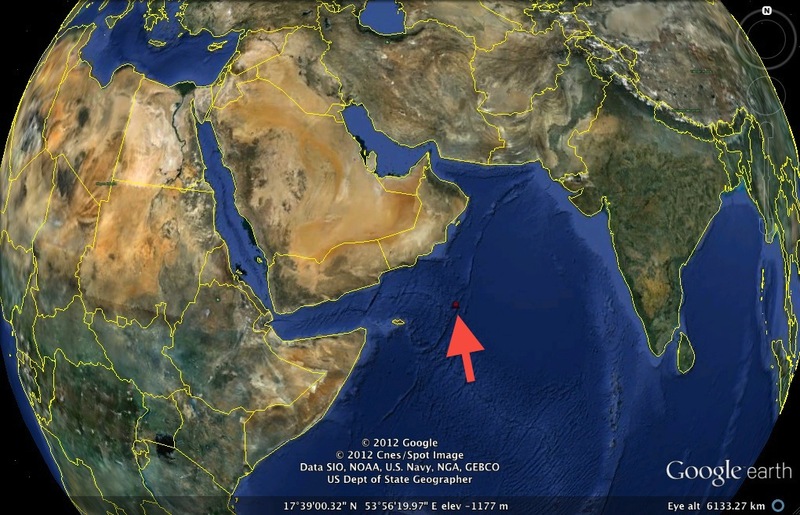 It is also possible that PAGs can extend operations south of the Maldives.” “On 6 February,” says GoAGT, “a merchant vessel was approached by two skiffs in the central Indian Ocean Region at position 05°03'N 066°07'E. On 8 February, a second merchant vessel was attacked at position 04°18'S 059°59'E by a skiff with five pirates on board (POB). The distance between these attacks suggests that several PAGs are now operating in this area. “With the extensive concentration of anti-piracy measures in the Northern Indian Ocean, it is increasingly likely PAGs will attempt to target new areas to take advantage of unprotected shipping lanes,” warns GoAGT. Okay, GoAGT might be attempting to drum up a little business, but its point is well made. 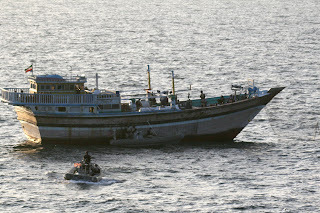 Somali pirates have shifted their attacks to areas in which coverage by naval forces has been weak or non-existent and to locales where the perceived need for shipboard armed security teams has also been low. It is logical that the pirates might shift to a sea lane which, as yet, has not been bothered by pirate attacks. 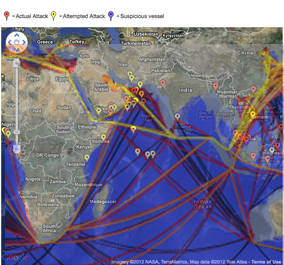 What virginal sea lanes that are within the potential reach of the Somali pirates are in danger? If it looks a little fuzzy, It's because of the overlay of the maps to allow me to make my point - there a number of heavily traveled sea lanes radiating (roughly) from South Africa to India, to the Strait of Malacca and to other points in eastern Indian Ocean. Given enough of a mothership, these areas are potentially vulnerable to pirate attacks, though, to date, none has occurred along them. Having a hypotheses of a potential area of attack - and one that covers a vast area of ocean at that- what is a viable way of providing some protection for these as yet "un-pirated" sea lanes? 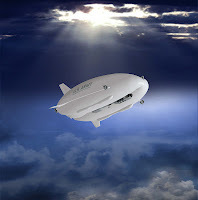 One thought is to use modern airships as counter-pirate tools, as set out in an earlier pos, Fighting Pirates with Airships, an idea apparently being examined by the Royal Navy. Another possibility is to keep the Somali pirates out of these sea lanes by a vigorous containment policy, though ultimately there has to be a "risk/reward" look at the potential which ways the costs of prevention of hijackings against the cost of paying ransoms. 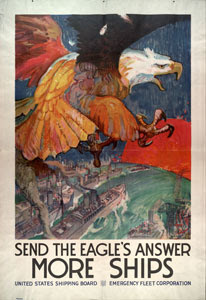 Blimps were pretty effective against the Uboats along the Atlantic seaboard in WWII. Resurecting the M class or an armed version of the N class airships would provide a long loiter platfrom (50 hrs for M, 200 for N) and a sensor/weapons platform. 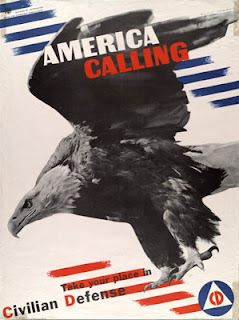 Replacing the N's AN/APS-20 radar (it was in the envelope) with the APY-9 and adding ESM would permit a pretty significant portion of the area to be surveilled (The Ns had a 21 man crew, so there is plenty of capacity for operators). The M class blimps carried 2800 lbs of ordnance, so quite a few Mavericks, Hellfires or other guided weapons could be accomodated, especially on the larger N class platform. It appears that there are some envelopes and control cars for the N class in storage, so re-engineering them shouldn't be that difficult. LPDs in the reserve fleet might provide a means of providing ar sea basing for these, as well as UAVs (which the blimp might also be able to carry to provide force multipliers). You're totally right Leesea, definitely agree that one is available!